You think you can't live without your hoodie, but wait until you try the Cashmoore® Jacket, the softest, most scrumptious hoodie that will keep you cozy all winter long. 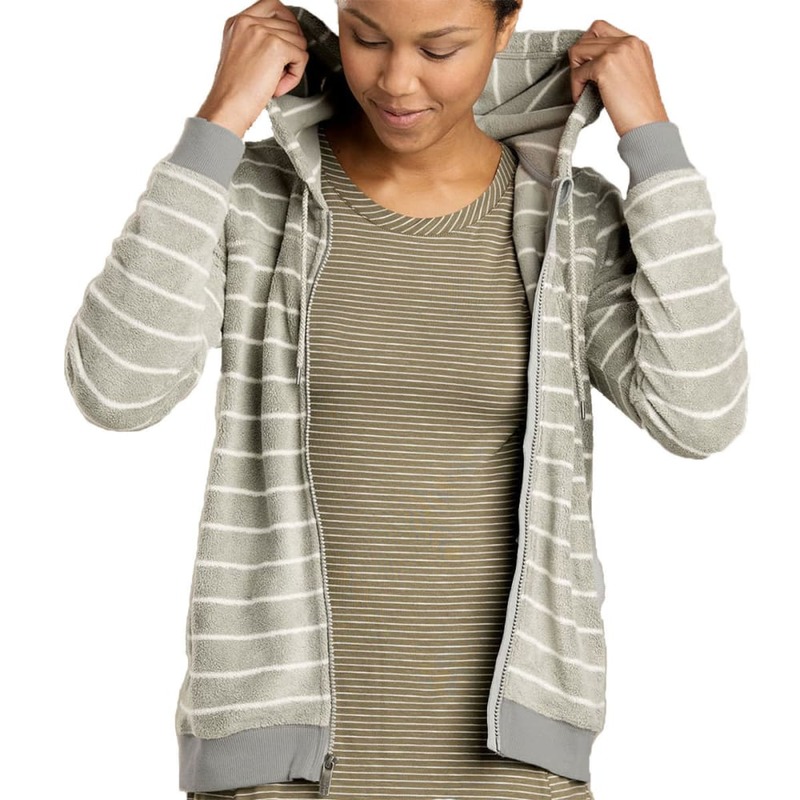 Classic hoodie styling carries you from morning surf checks to evening strolls – and with its range of sweet stripes and solids, you might need more than one. Cashmoore: It’s baaaack! Toad & Co.'s signature microfleece is comfort food for your skin. Lightweight and deliciously soft, this cozy blend warms from the inside out. Go for seconds – just don’t ask for the recipe.